In a reversal from its previous position on the death penalty, the Florida Supreme Court issued an order on February 20, 2017 allowing these cases to proceed. Fox 35 Orlando reported on the ruling, which came despite an unconstitutional law that’s still in effect. The state legislature is working to re-write certain provisions and fix the provisions that were struck down. The impact of the recent decision means that prosecutors can seek the death penalty in Florida capital punishment cases, but the current status is much more complicated when you review the procedural history behind it. If you’re facing charges for a crime that could result in the death penalty or other severe punishment, it’s critical to retain an attorney that has extensive experience in Florida criminal defense. During the last few months, there have been a couple situations involving an about-face on the death penalty. Federal Court: The law was first declared unconstitutional by the US Supreme Court in January 2016, based upon a finding that juries must specify the death penalty in a capital case – not judges. Florida lawmakers enacted a new statute that was signed into law in March 2016, giving juries the proper authority for capital punishment. October Cases Before Florida Supreme Court: The law faced a challenge again, a few months later. In October, the state high court struck it down because it failed to require a unanimous jury vote before a court could impose the death penalty. As a result, Florida has not had a capital punishment law in place since October. 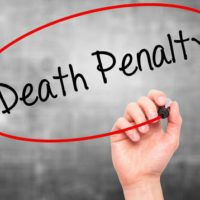 The Florida Supreme Court included a specific finding that the law cannot be applied to death penalty cases that were currently pending in state criminal courts. That all members of the jury must agree to capital punishment. You can see that Florida law on the death penalty is in a state of flux as lawmakers work to fix legal provisions that were previously declared unconstitutional, but – for the time being – prosecutors can still pursue capital punishment cases. If you’re facing charges that could lead to the death penalty for a conviction, you need a skilled lawyer to fight for your rights in court and during sentencing. Attorney Kevin J. Kulik has several years of experience representing clients in criminal cases and will present all available defenses under the law. Please contact our Fort Lauderdale office today for more information.